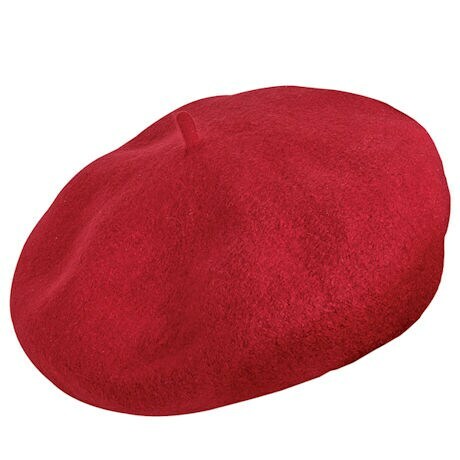 Once the traditional headgear of Basque shepherds in the Pyrenees, now a French icon and a timeless fashion statement, the beret is stylish, versatile, and flattering on everyone. Ours is 100% wool (but of course! 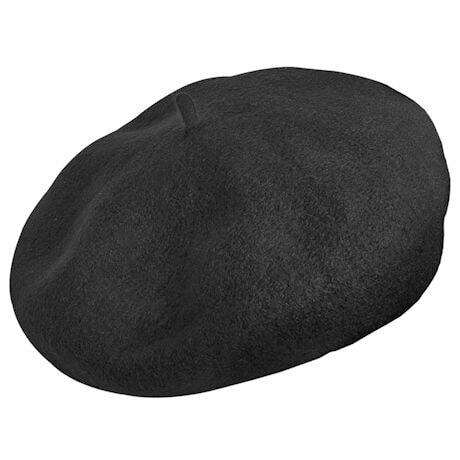 ), with a faux leather sweatband, contrast leather piping, poly satin lining and "Authentic Basque Beret" label. 10 ½" diameter. Sizes M(7-7 1/8"), L(7 1/4-7 3/8 "), XL(7 ½-7 5/8 "), XXL(7 3/4 -7 7/8 "). Dry-clean. Imported. 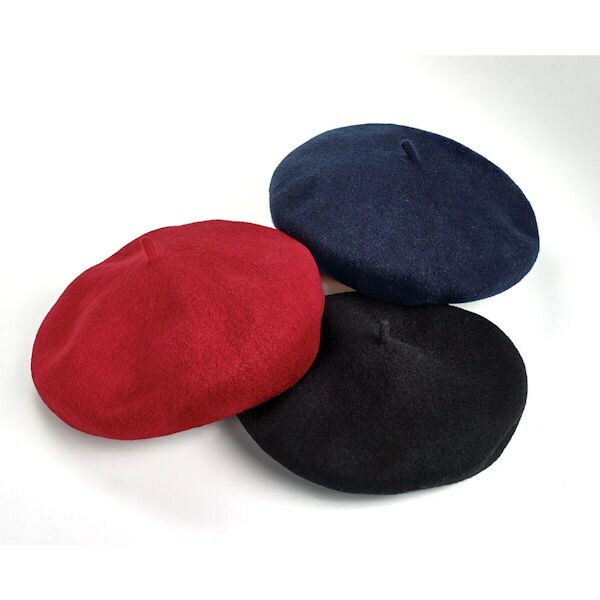 Specify Red, Black, or Navy.